These prints are 12" x 12" but can be customized to an even larger size- which I really like. They are printed on heavy paper stock, available in your preferred colors, framed or unframed. 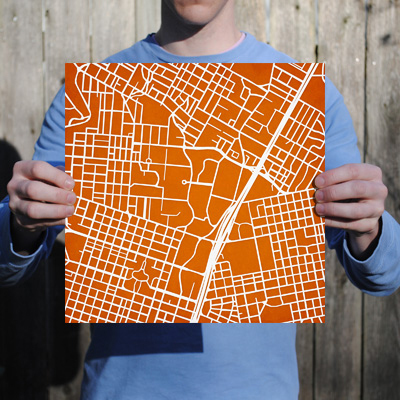 If you're from South Carolina, you know this purple and orange campus print is Clemson University. 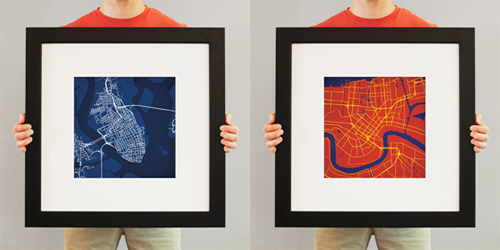 Tony and Katie offer a bevy of city prints as well. 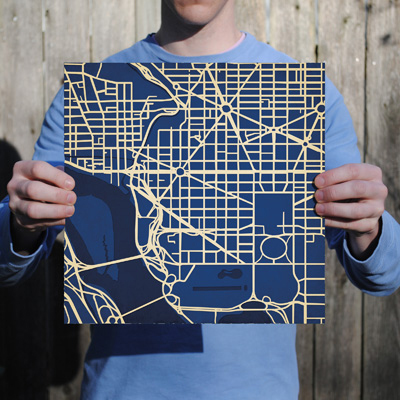 All are illustrated in bold colors, inspired by their city flags. Above is Charleston and New Orleans. These are wonderful art pieces and like every map, a great conversation starter. As Tony shares, "The places we've been are an important part of any individual. The places we've been have stories- stories that we want to share." Find your city or college map here.